*For the treatment of chronic pain severe enough to require daily, around-the-clock, long-term opioid treatment and for which alternative treatment options are inadequate. 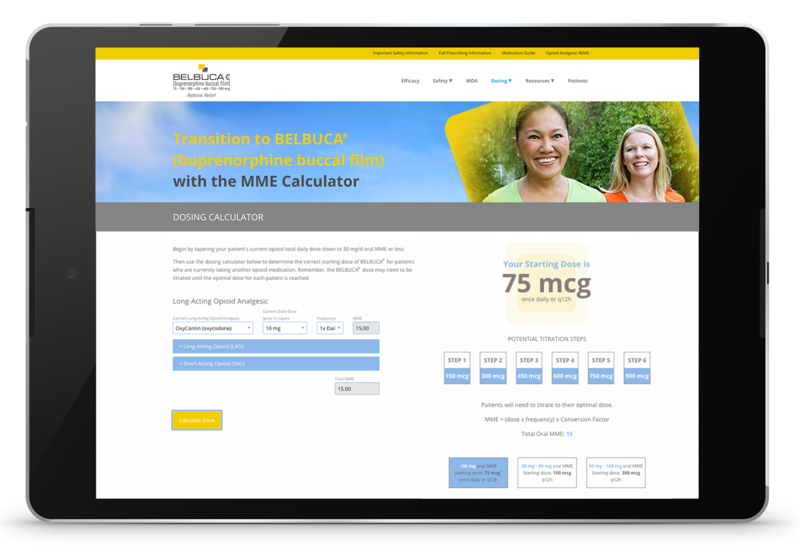 Use this dosing calculator to learn how to transition your patients to BELBUCA®. References: 1. 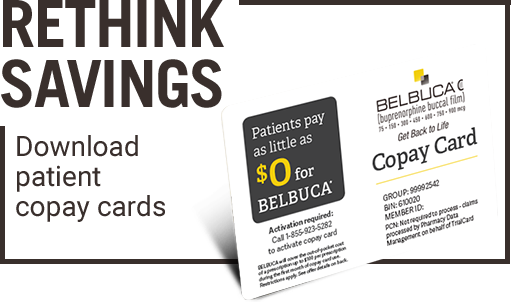 BELBUCA [Prescribing Information]. Raleigh, NC: BioDelivery Sciences International, Inc.; September 2018. 2. Data on File, DOF-BL-04. BioDelivery Sciences International, Inc.; 2016. 3. Center for Drug Evaluation and Research (U.S.). 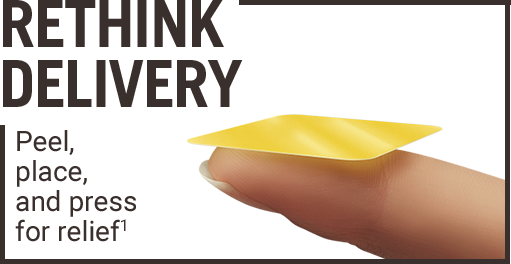 Orange book: approved drug products with therapeutic equivalence evaluations. Rockville, MD: U.S. Dept. of Health and Human Services, Food and Drug Administration, Center for Drug Evaluation and Research, Office of Pharmaceutical Science, Office of Generic Drugs, 1985. http://purl.access.gpo.gov/GPO/LPS1445. Accessed August 16, 2018. 4. Davis MP. Twelve reasons for considering buprenorphine as a frontline anlgesic in the management of pain. J Support Oncol. 2012;1-11. 5. Drug Enforcement Administration. Schedules of controlled substances. https://www.deadiversion.usdoj.gov/21cfr/21usc/812.htm. Accessed August 16, 2018.